Developing movement awareness, researching body capabilities and limitations and weak links improvement. Handstand, Headstand, Forearm stand, shoulder stand and more. Deconstructing difficult moves from any field (Acrobatics, Gymnastics, Yoga, Capoeira, Tricking, Dance) into simple ones and then putting them together. Building a stable and elastic body armour. Improving ranges of motion and strengthening muscles on the extreme ends. MMichal was involved in movement since early childhood. Already at the age of five, he trained martial arts and at the age of eight joined a gymnastics team. After finishing his professional career, he has not stopped developing his skills in various disciplines (acrobatics, parkour, tricking, calisthenics, capoeira). In his many years of sports and travel, he encountered a variety of styles from bodybuilding through muay thai, yoga to meditation. For years, he has been using his knowledge in order to help those coming back to training after an injury as well as professional athletes. 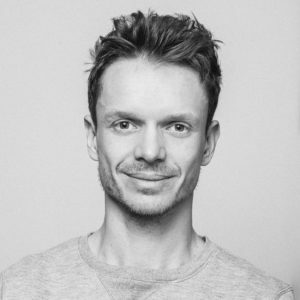 He conducted a number of original classes inspired by Movement Culture (methods like ido portal, fighting monkey etc), as well as AcroYoga, Classic and Crossfit Gymnastics, Acrobatics, Handstands, Animal Flow, Anatomy Trains in Motion training, Functional Movement Screen tests, and he is a Blackroll trainer. Currently, he co-creates a movement academy W Gruncie Ruchu in Warsaw.